Seemingly endless caravans of mammouth ships trail in and out of Venice via the Giudecca Canal, their teeny passengers gazing down from the top deck as they ease by the teeny visitors strolling along the sunny promenade of the Zattere. Miraculously, the ships park, and passengers are given their disembarkation time. No doubt your cruise company has offered you shore packages of every shape and color…maybe you’ve booked your own guided tours or have decided to discover Venice on your own. What are your options for getting from port to Venice? The first thing you have to do is get out of the port and into Venice proper. This will involve either water transport directly to to somewhere in the city, or a transfer to Piazzale Roma (by land taxi, bus, tram, or your feet) from where you can continue to walk, take a vaporetto water bus, or hire a private water taxi. Click on the link below for an annotated Google satellite map indicating the various means to get from the Marittima port to Piazzale Roma, and the services available there. The yellow-and-white water buses of the private transport service Alilaguna’s Blu Line will whisk you from the marina to Giudecca, the Zattere promenade, San Marco, Lido and the Airport for fares from €15 for one-way to €45 for 72-hr pass, purchased at a discount, online. Review fares and schedule on their site. The private water taxi is your most expensive and most convenient. Transfer prices start at €100+ for 4 people with luggage, fares depend on group size and luggage (extra charge for more than one bag per person). NOTE: At the Marittima port, all water transport (including tours) arrive and depart from the docks at the top right area of the port’s marina. Piazzale Roma is the last stop for wheeled motor traffic in Venice. At Piazzale Roma land transportation arrives, water transportation departs. Once at Piazzale Roma, you may purchase ACTV vaporetto passes from booths or automatic machines. You may also cross the Ponte della Constituzione bridge, or follow the signs to the Rialto for a less populated walking route from Piazzale Roma into Venice (about 30 minutes to Piazza San Marco, but with lots of Venice to see along the way). Take the five minute walk from the ship terminal to the Peoplemover tram (€1), board it for the 2-minute ride to Piazzale Roma. If you have luggage, ask a porter to procure you a land taxi. They will transfer you and your luggage in about two minutes, for about €5 a person (get the price up front). Once in the Piazzale, head across the street and toward the water (look for the massive bridge across the Grand Canal) to the vaporetto landings to take the public vaporetto water bus — or toward the smaller side canal to hire/meet a private water taxi. 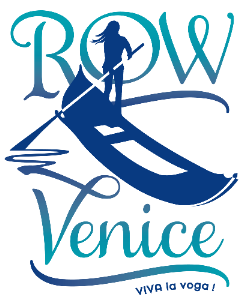 If you’ve purchased a pass in advance through VeniceConnected.com, look for their logo at the ticket booths, down the stairs at the water level, just to the left of the big Ponte della Costituzione bridge that leads across the canal to the train station. You may also easily retrieve your pass at the nearby automatic ticket machines. You may also purchase passes and single tickets on-site at the ACTV ticket booths — prices are listed above the ticket windows. You can purchase single tickets and passes at the automatic ticket machines – review the ticket and pass prices, decide which option you prefer, and make your purchase using the English language option. From Piazzale Roma you can board Lines 1 and 2 that travel the Grand Canal, Lines 4 and 5 that circle the city, Line 6 that travels the Giudecca canal to Lido, and Line 3 that’s direct to Murano. For more information on ACTV navigation system, see the Venice Vaporetto Guide.